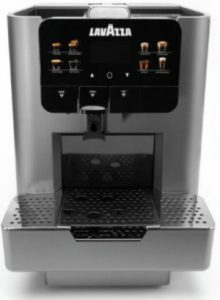 Single cup brewing systems give you a fresh cup of tea or coffee whenever you want it, with no mess and no clean up necessary. 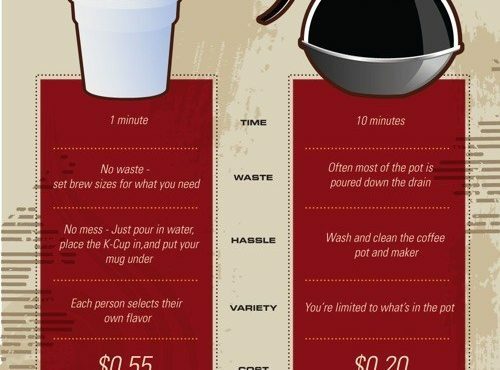 No wonder it is the most popular brewing method in the office coffee services industry! 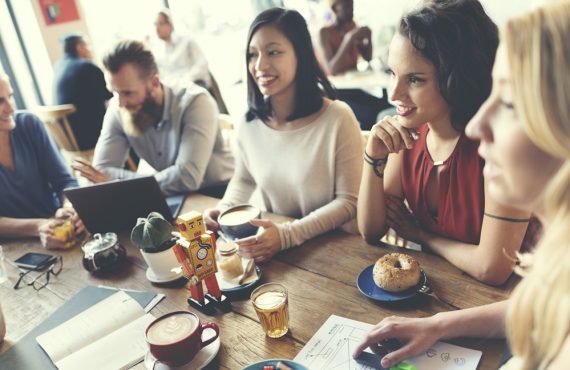 There are many benefits of having single-serve systems. 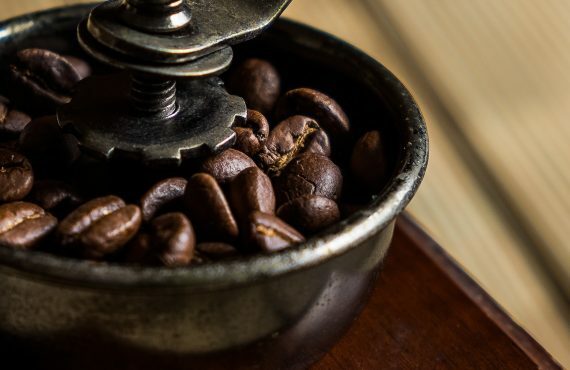 For starters, this method can both reduce the time needed to brew coffee and simplify the brewing process. There is no need to measure out portions or flavorings. It can also help to keep the unused product fresher until its package is actually used. The biggest concern that people have about these systems is that it’s difficult to recycle a mix of plastic and organic material. 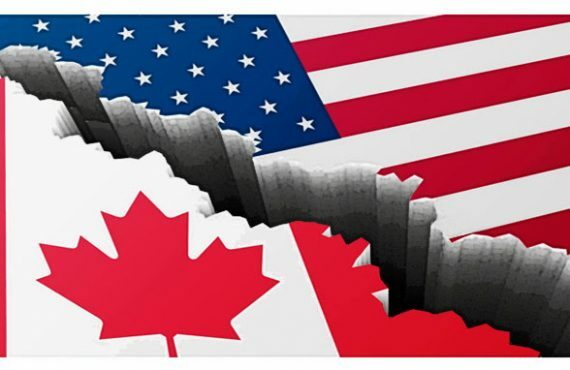 We at Planet Coffee offer an Industry leading recycling program for the waste generated by many of these systems. 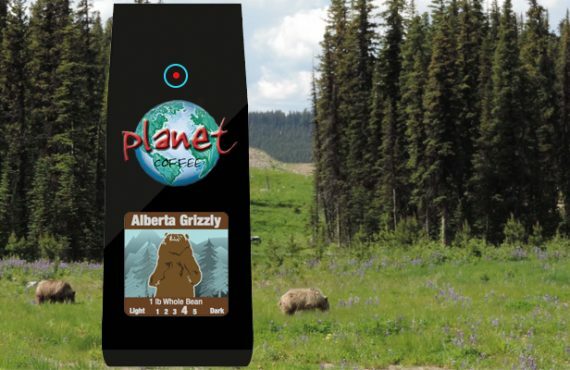 Let Planet Coffee bring you a world of exotic flavours that are only available in a single cup system! 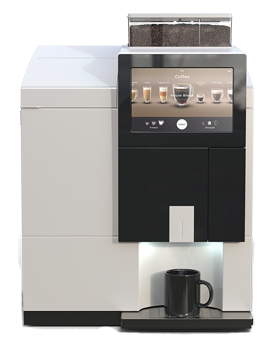 VKI Eccellenza Touch Brewer – The Eccellenza Touch offers users the ability to brew various cup sizes of today’s most popular hot beverages. The first of its kind, the revolutionary new brewer in the Eccellenza Touch alleviates mess and clean up, while ensuring the convenience, consistent taste and quality for which VKI’s single cup brewing systems are renowned. 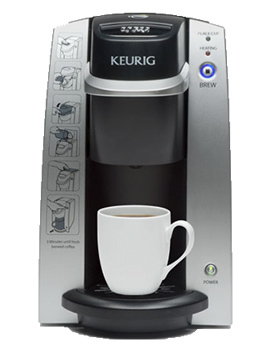 Keurig boasts over 130 varieties of gourmet branded coffees, tasty teas, and indulgent beverages to choose from including brands like Starbucks, Timothy’s World Coffee, Laura Secord, Wolfgang Puck, Emeril Legasse, Lipton, Green Mountain, Barista Prima, Tully’s, and many others which together bring a world of flavours to your cup. 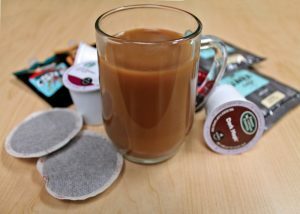 Keurig Brewers offer multiple brew sizes (4oz. to 12oz.) to help you brew the perfect cup, every time. 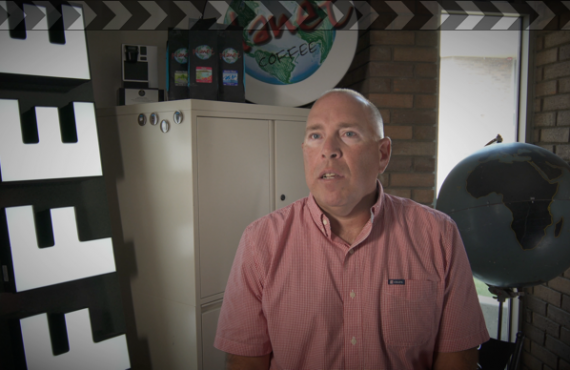 Why Keurig brewing system at work? 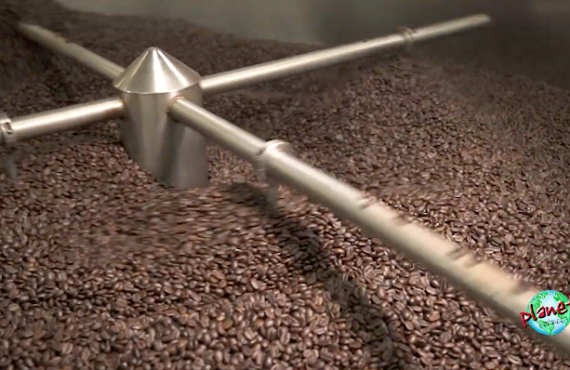 ALTERRA® Coffee Roasters for a top quality, full flavoured coffee experience with single-serve convenience. 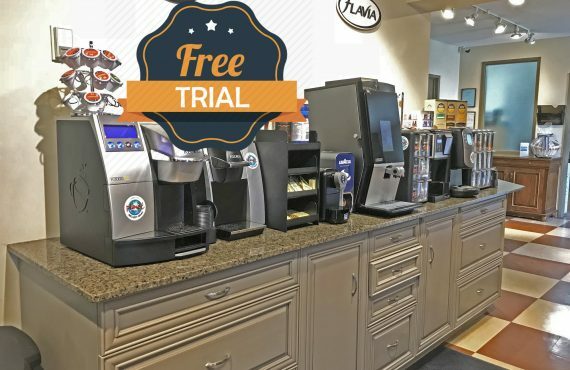 FLAVIA® brewers that provide a smorgasboard of beverage flavours including deliciously rich coffees, fresh-brewed tasty teas, high-end hot chocolate and specialties such as cappuccinos, lattes and mochas; fantastic flavours for every fancy. Mars Drinks has 2 sustainable sourcing partners – Rainforest Alliance and UTZ Certified. Their partners will help us in achieving 100% certified sources. 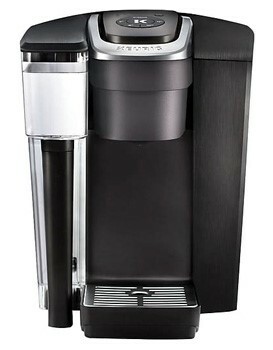 Do you want to make a rich flavourful cup of coffee, one cup at a time, at a very affordable price? 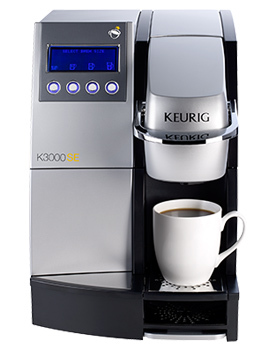 Then the Pod brewer is the right choice for your office. 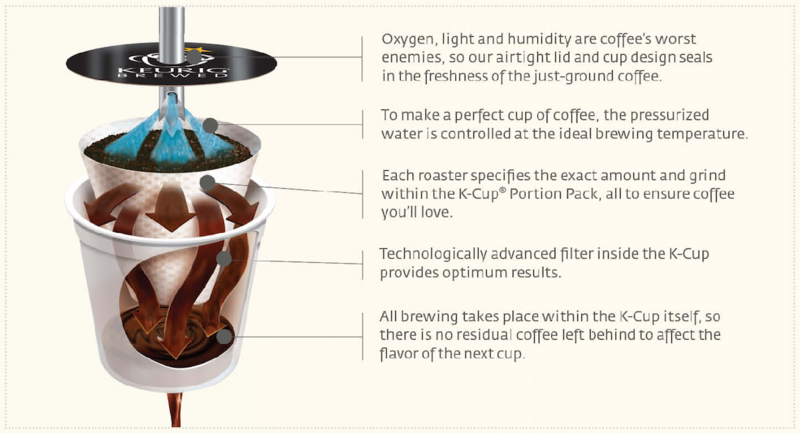 Basically the collective term “pod system” is applied to all single-serve systems with the ready-to-use coffee portions in filter paper. 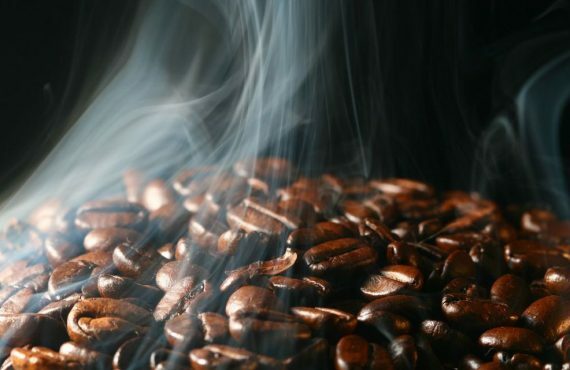 We offer a variety of coffee experiences to excite your taste buds. From medium and dark roast coffees, flavoured coffees and decaf, our Kienna brand coffee pods brew up a great cup of coffee. 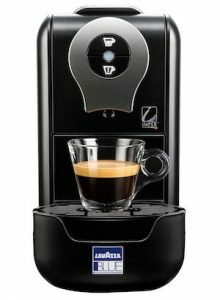 The Lavazza BLUE Compact 910 or LB Compact is a single-serve espresso machine that brews using Lavazza BLUE capsules. 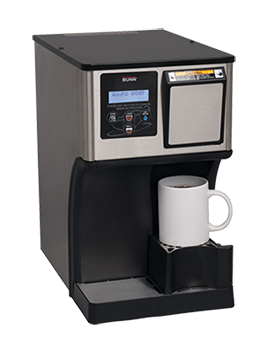 Designed for easy operation and minimal use of space, and as the name implies, the LB Compact is under 6″ wide and simply features two programmable brew buttons. 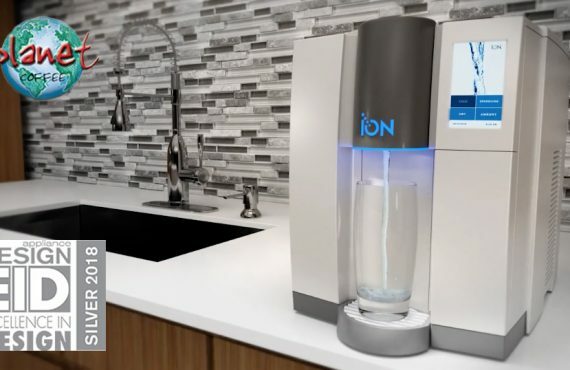 Despite its small size, the machine sports an ample 1.2 liter water reservoir and can hold up to 10 spent capsules. 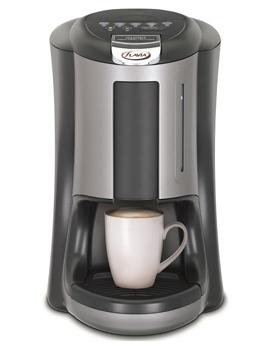 Enjoy Italy’s favorite coffee at work or at home with just the push of a button. 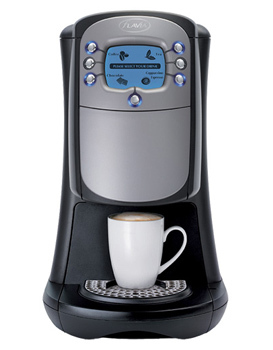 However if you are looking for a more distinguished, professional, and powerful machine, level up with the Lavazza LB 2317. This single serve system offers intense user experience with its silent operation, and perfect combination of flavor and taste of coffee. 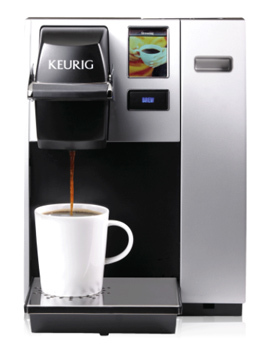 Whether its in a restaurant, breakfast bar or break room, this machine will fit your space. Being one of our new machines that we offer, be the first to try it.